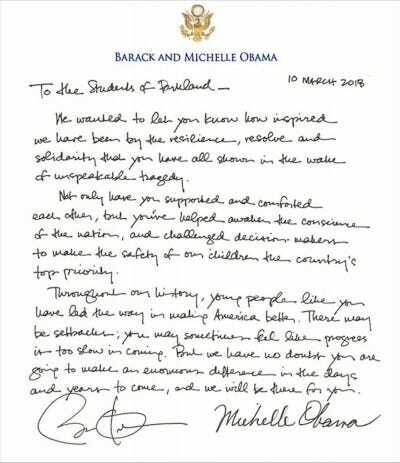 Barack and Michelle Obama sent a letter to survivors of the Parkland, Florida school shooting, which left 17 people dead in February. 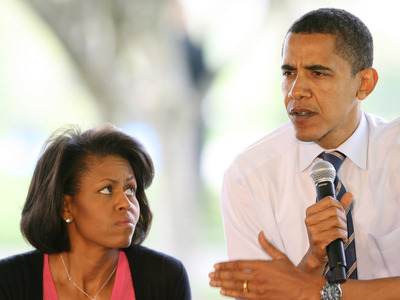 The Obamas called the students’ “resilience, resolve, and solidarity” shown “in the wake of unspeakable tragedy” inspiring. In the weeks since the tragedy, Parkland students have been outspoken in the media on the need for gun reform and school safety. Former President Barack Obama and former First Lady Michelle Obama sent a letter earlier this month to survivors of a school shooting that occurred in Parkland, Florida in February. In the wake of the Valentine’s Day shooting at Marjory Stoneman Douglas High School, which claimed the lives of 17 people, student survivors have been outspoken. 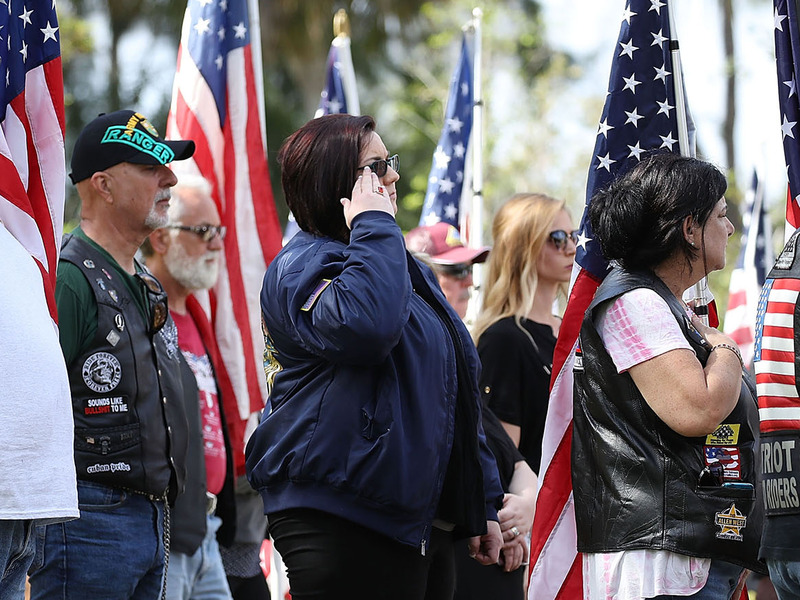 Joe Raedle/Getty ImagesMourners attend the burial of Chris Hixon, who was the athletic director at Marjory Stoneman Douglas High School at South Florida National Cemetery after he was killed along with 16 other students and teachers on February 21, 2018 in Lake Worth, Florida. Police arrested 19 year old former student Nikolas Cruz in the killing at the high school on February 14th. In particular, 17-year-old survivor and student journalist David Hogg has become a national figure for his repeated calls for gun-control measures and characterizations of the response of politicians – and specifically President Donald Trump – as “disgusting.” He has also criticised the National Rifle Association for its stance on gun-control issues and been the target of numerous conspiracy theories. The response of Parkland students sparked nationwide student protests in the form of a walkout across the country last week. A “March for our Lives” rally on March 24 is expected to draw hundreds of thousands to Washington D.C., according to the AP. More school walkouts are planned for the anniversary of the Columbine High School Shooting in Colorado on April 20. 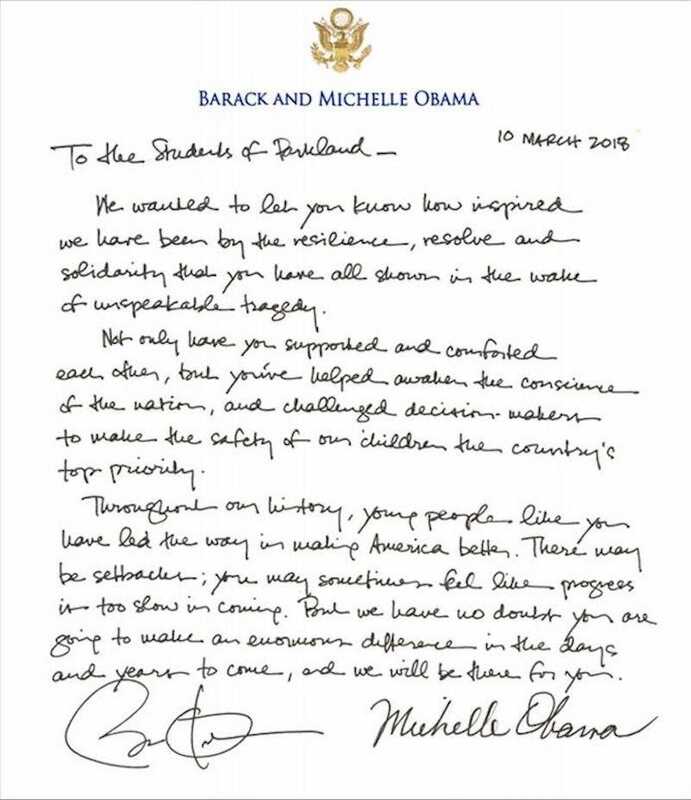 Screenshot/MicA letter from Barack and Michelle Obama to Parkland student survivors.